Ninety years ago, the late Sidney Myer was inspired by Melbourne Symphony Orchestra’s second ever conductor, Fritz Hart, who shared his dream of a series of free open-air concerts for the people. Hart believed in the transformative power of music – and that everyone had a right to experience and be uplifted by it, especially when performed in the glory of nature. Thanks to this forward-thinking vision and Myer’s generous donation, the Sidney Myer Free Concert series was born – a highlight of summer in Melbourne ever since. With the overwhelming popularity of the concerts, Sidney Myer formed a Trust to fund them into the future. Because of this extraordinary gift, all Melburnians can enjoy, and will continue to be able to enjoy these concerts forever. The support of our community has always been important to the MSO and is what makes us your orchestra. We are proud to be a part of Melbourne’s renowned culture and to represent you here and abroad. 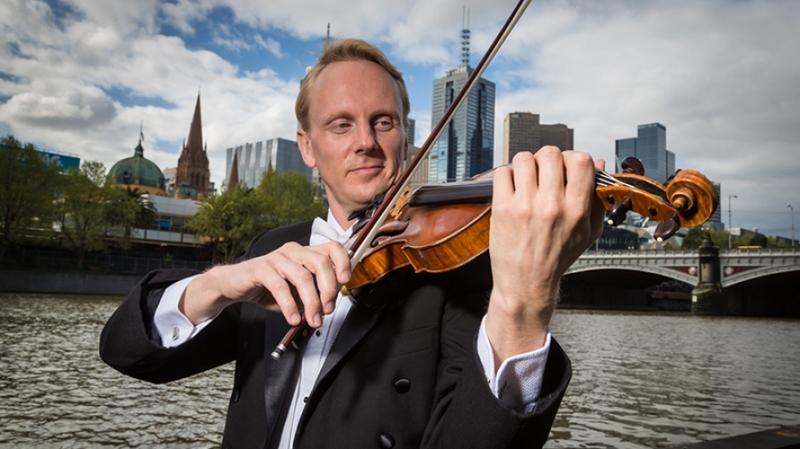 - MSO Concertmaster, Dale Barltrop (pictured). 2019 will be a memorable year for the Orchestra and I hope you will be a part of it. In addition to 90 years of free concerts (60 years in the Sidney Myer Music Bowl) and 100 years of education programs, this year will be Sir Andrew Davis’ final year as Chief Conductor of Melbourne Symphony Orchestra. I think you will agree that Sir Andrew has been a wonderful addition to the MSO family and Melbourne has been fortunate to have this prodigious talent for seven years. If you believe that the music the MSO performs and the other work we do matters to you and is important for our community – please donate to the MSO’s Month of Giving today. Please make a donation to the MSO today. The MSO is a registered charity and gifts of $2 and more are fully tax-deductible.